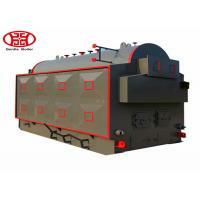 DZH type biomass pellet fired steam boiler is a horizontal three-return water-fire tube type boiler. 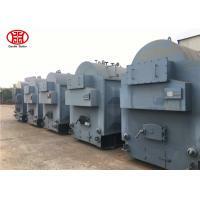 A row of water-cooled wall tubes are arranged on the left and right sides of the furnace, and two sets of tube bundles are arranged in the drum to form two return paths. 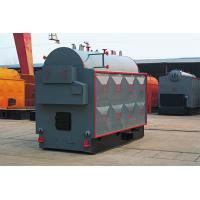 The boiler has sufficient heating surface and is equipped with a tail heating surface economizer. 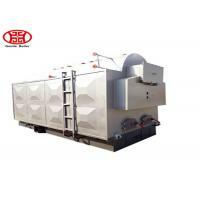 It is equipped with drums and induced draft fans for mechanical ventilation. 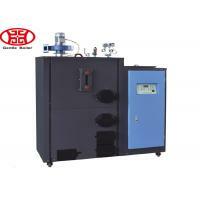 Layered combustion. 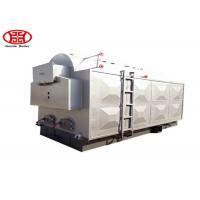 This biomass steam boiler has high automation level, automatic adjustment of boiler feed water, high and low water level alarm, low water level interlock protection, and interlocking protection of lead and blower. Auxiliary auxiliary equipment is complete. 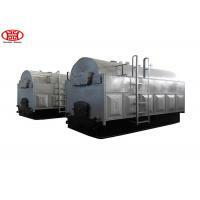 (1) The arch tube tube and the threaded tobacco tube are used to form the drum tube, so that the drum tube is changed from the quasi-steel body to the quasi-elastic body structure, the pulling members of the tube plate area are eliminated, and the stress is reduced. 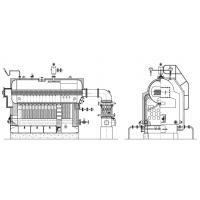 The pipe in the tube plate was changed from two return strokes to a single return stroke, which solved the problem of cracks in the tube sheet. 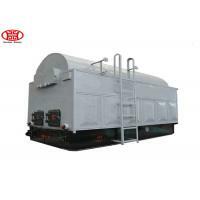 (2) The lower part of the drum is arranged with the rising pipe row, which eliminates the dead water area at the bottom of the drum, so that the sludge is not easy to deposit, and the high temperature zone of the drum can be well cooled, preventing the lower drum of the drum. 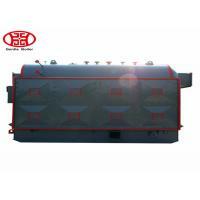 (3) The high-efficiency heat transfer thread pipe is used to obtain the effect of enhanced heat transfer, which achieves the characteristics of heating and boosting the boiler, and improves the thermal efficiency of the boiler. 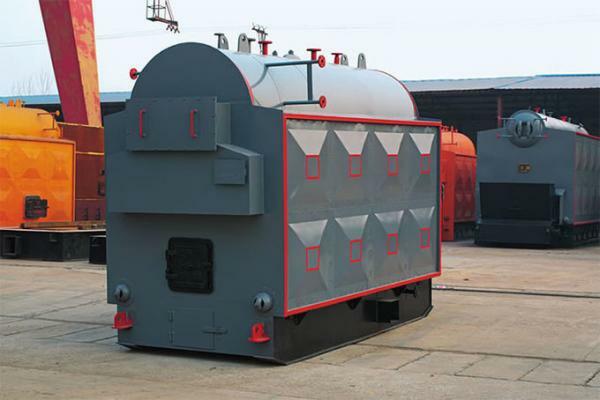 (4), compact structure, compared with the same type of boiler, the external size is small, saving investment in the boiler house infrastructure. 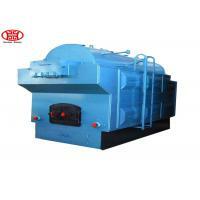 Chemical industry, textile plant, rice mill, garment factory, livestock, farm, hotel, school, etc. 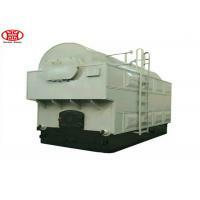 (B) During the guarantee period , if the main body defective or broken without wrong operating , Gentle Boiler must replace the parts for free or prepare the spare-parts for free.